Control, Eliminate, Eradicate A Disease: What's The Difference? : Goats and Soda We've eradicated smallpox. But we can only hope to control malaria. A new exhibit at the American Museum of Natural History explains how disease fighters set and pursue their goals. 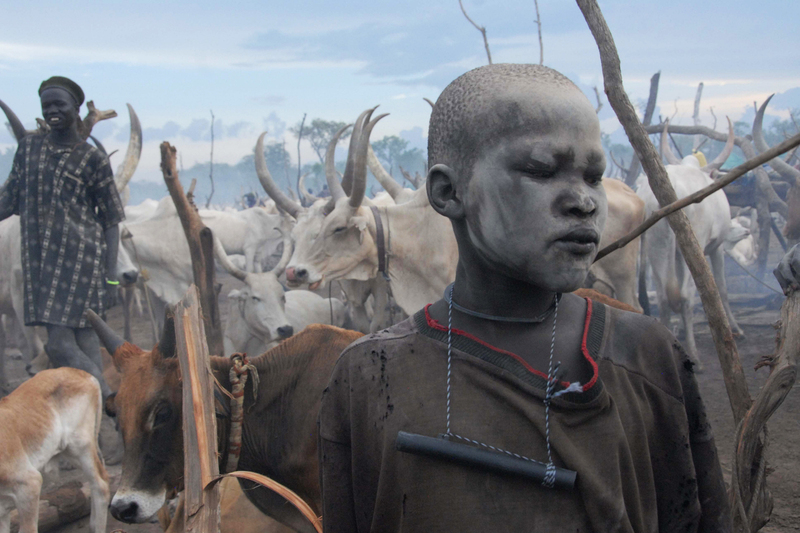 This young herder has lots of protection. The ash on his face isn't just decorative; it keeps away flies. The filter in his pipe removes tiny crustaceans carrying Guinea worm larvae from drinking water. Control, eliminate, eradicate: A thesaurus might tell you the words are similar, the last two even interchangeable. But as the American Museum of Natural History's newly opened exhibition Countdown to Zero: Defeating Disease makes clear, when it comes to fighting disease the difference can be as stark as life and death. Photographs and wall texts dramatize the debilitating impact that Guinea worm, river blindness and malaria, among other diseases, can leave not just on individuals but the entire life of a village when a significant percentage of its population becomes infected. These excruciating ailments may "no longer exist in the developed world," said President Jimmy Carter, who spoke at the launch of the exhibit, which was organized in conjunction with the Carter Center. "But they affect hundreds of millions of people in the poorest nations on earth." As the exhibition's title suggests, reaching zero — eradication — is the end goal for fighting disease: no infections, with no possibility of further transmission, anywhere in the world. To date, only one human disease has been wiped out: smallpox. 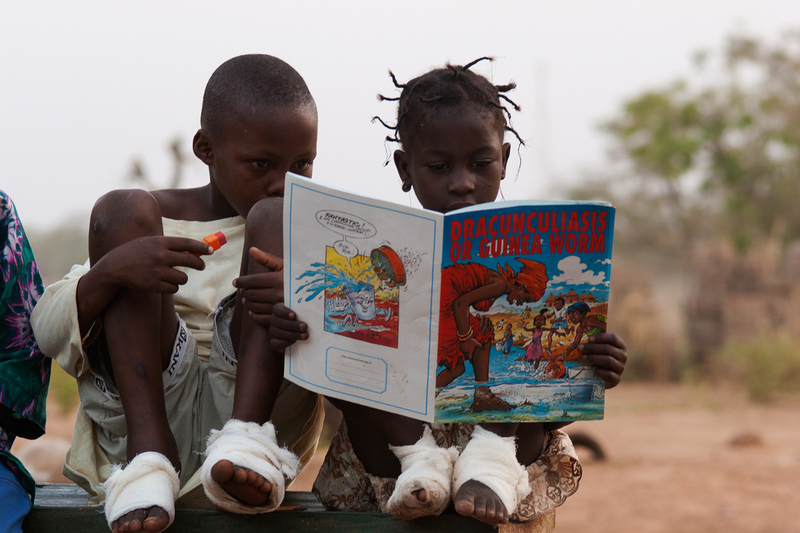 of Guinea worm patients Sadia Mesuna (right) and Fatawu Yakubu at a center for patients in Ghana. That's why it's significant that the countdown is getting increasingly close for one other disease in particular: Guinea worm, which could be the second human disease to be wiped out. It's now down to a mere 126 cases. And that brings us back to definitions. "Control means you're reducing the prevalence or incidence of a disease" to a lower level, explains Dr. Donald Hopkins, vice-president for health programs at the Carter Center. The four children of Ethiopian farmer Mamo Tesfaye sleep under insecticide-treated bed nets to prevent bites from malaria-infected mosquitoes. Malaria is an example, he says. You can't get rid of it entirely because the mosquito-borne parasites that transmit the disease can develop drug resistance. But you can control it through ongoing health care and prevention strategies such as bed nets and various medications. Controlling a disease can also lead to its elimination. 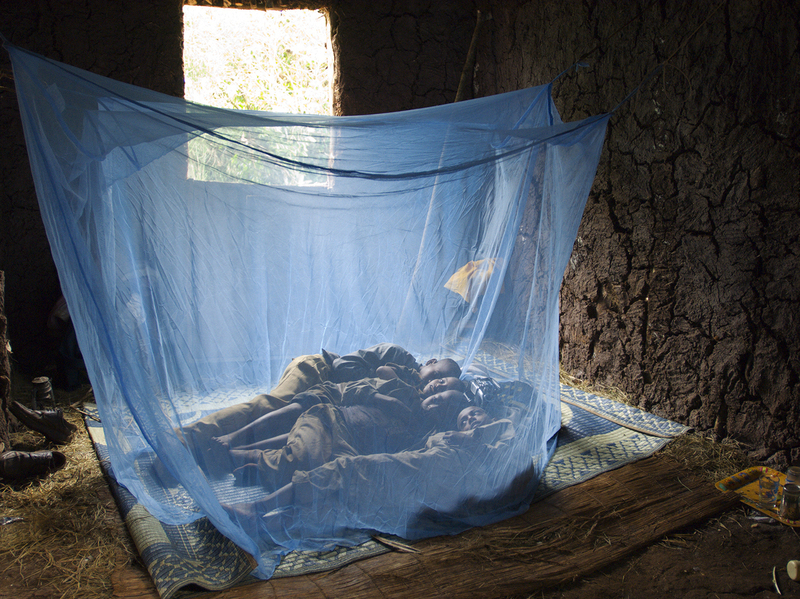 And malaria, it turns out, is also an example of that — a disease that is no longer present in many countries (such as the United States) but that also requires surveillance and control elsewhere. 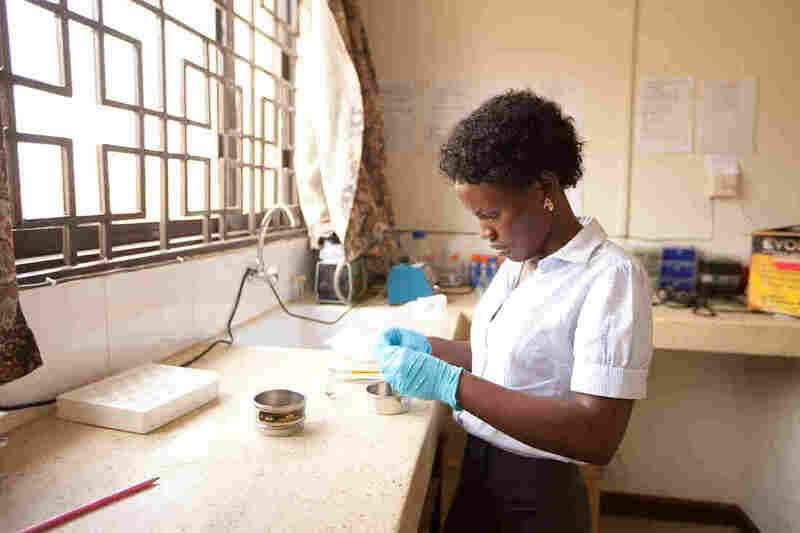 Workers at a Ministry of Health lab in Kampala, Uganda's capital, test black flies for evidence of river blindness. "Elimination means stopping transmission of a disease in a specific geographic area or region or country or an island, but not worldwide," Hopkins continues. Four out of six countries in the Americas have eliminated river blindness, he says of the disease caused by a parasitical worm whose larvae are picked up and transmitted to people by black flies. "But it still exists in two other countries in the Americas and it still exists in Africa." To insure that the disease does not return to areas where it has already been eliminated, current control measures must continue. For river blindness that means health education and the use of the medication Ivermectican as a preventative. Similarly, widespread vaccination programs have succeeded in eliminating polio from the United States — and from all but three countries in the world, Afghanistan, Nigeria and Pakistan. But, the exhibition text declares, "as long as the infection exists anywhere, its ability to spread means it remains a global threat." Witness outbreaks of polio this past year in Syria, which had previously been polio-free since 1999. "To be fully eradicated," the text explains, "a disease must be eliminated in every town, village and neighborhood throughout the world." Until then, and to keep areas that have already eliminated a disease free of it, control measures (like the polio vaccine) are essential. 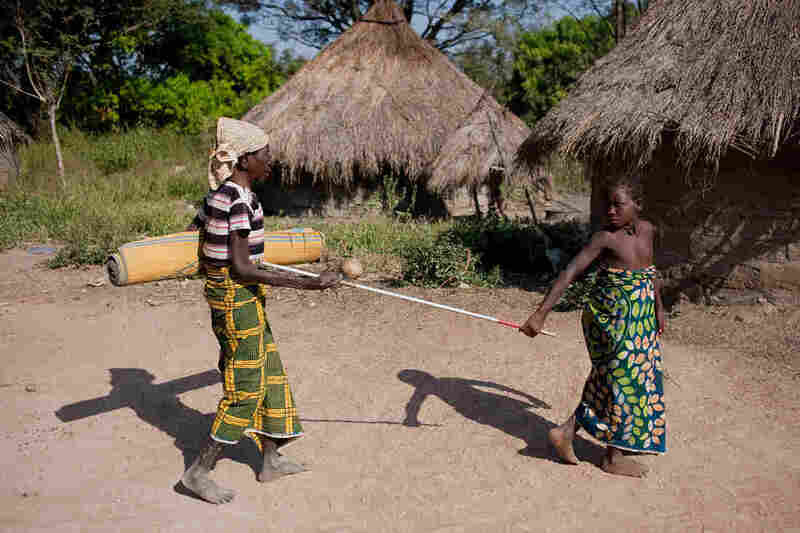 An elderly Nigerian woman who suffers from river blindness is helped by a young girl. In addition to Guinea worm, several other diseases are on the path to eradication, including polio, river blindness and lymphatic filariasis, also known as elephantiasis. But logistical obstacles remain, starting with the difficulty of reaching the exceptionally remote locales where pockets of disease remain. "At this point the areas are at the end of the road or beyond. You drive to the end of the road and you walk," says Frank Richards, Jr., who directs the Carter Center's programs to eliminate river blindness and lymphatic filariasis and to control schistosomiasis. There are other challenges. Nomads may unwittingly spread disease across borders. Conflict zones pose dangers: Villages or governments may be hostile to health workers. And there have been instances of anti-polio workers being murdered. Yet beyond the handful of diseases highlighted in the exhibition that have the potential for future eradication, most diseases may never be eradicated. Ebola is in that category. Even a vaccine may never succeed in completely removing it from nature, the exhibition explains, because the virus "could always re-enter the human population through contact with bats and other infected animals, including chimpanzees, forest antelope, gorillas and more."